Who’s joining the upcoming Black-ish spin-off. Deadline reports Abraham D. Juste has joined Freeform’s new TV show Grown-ish. The comedy will follow “Zoey – Dre (Anthony Anderson) and Rainbow’s (Tracee Ellis Ross) popular, entitled, stylish and socially active 17-year-old daughter – as she heads off to college and quickly discovers that not everything goes her way once she leaves the nest.” The cast includes Yara Shahidi, Deon Cole, Chris Parnell, Emily Arlook, and Trevor Jackson. On Grown-ish, Juste will recur as “Cassius “Cash” Mooney, the top-ranked shooting guard in the nation with a megawatt smile and a freshman at California University with Zoey (Yara Shahidi).” The Black-ish spin-off is slated to debut on Freeform in 2018. What do you think? Are you a fan of Black-ish? 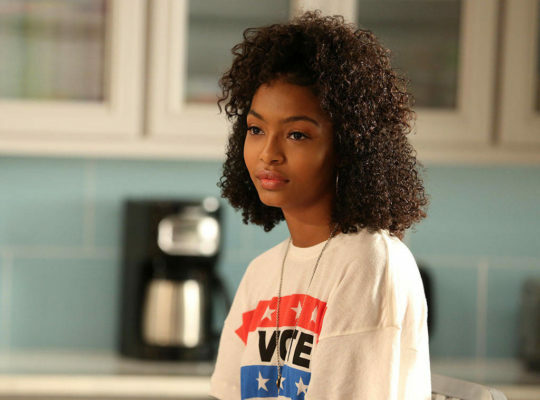 Will you watch Grown-ish? I love Grown-ish sitcom. It’s what this generation goes through in this day and time. I love Black*ish ! Zoey’s great acting makes you want to see where her life goes. Looking forward to seeing her go to college and seeing the loving , slightly anxiety filled Rainbow and Drew miss her dearly Very funny , touching, and Family oriented.